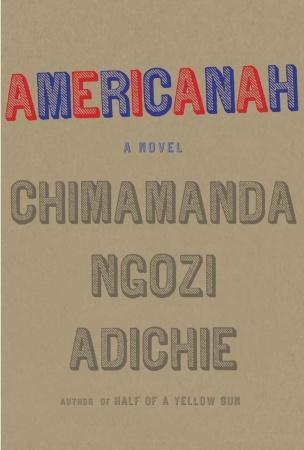 Recently, our book group got together to discuss Americanah, the new book by Chimamanda Ngozi Adichie about a young Nigerian woman moving to the U.S. for a number of years then eventually returning to Africa. Our group is a small but committed bunch that would rather come to book group than do almost anything else but sometimes life gets in the way and attendance is sparse. So this time there were only four of us and our opinion of this book was evenly divided. I had recommended Americanah for various reasons. I had heard the author interviewed on NPR, read the New York Times Book Review and, let’s face it, I’m a sucker for anything endorsed by these folks. 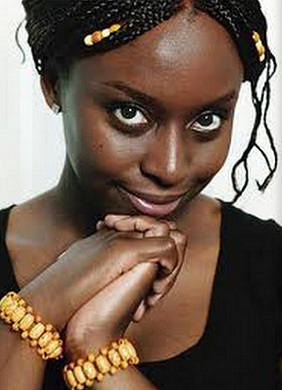 That aside, Adichie’s point of view seemed fresh, irreverent and entirely compelling. But really she had me when she said her book was about “hair.” More on that later. 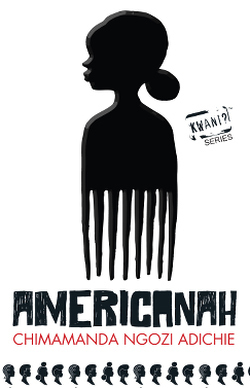 Americanah is also about Ifemelu, a black woman from Africa, learning what it’s like to be black in America; it’s about globalization, human nature and love. Many have also called it a comedy of manners. But, as one of the characters says, “Why did people ask ‘What is it about?’ as if a novel had to be about only one thing.” The book group was unanimous in its admiration of the author’s bravery to take on such major and complex issues. Once, they visited his aunt, Claire, in Vermont, a woman who had an organic farm and walked around barefoot and talked about how connected to the earth it made her feel. Did Ifemelu have such an experience in Nigeria? she asked, and looked disappointed when Ifemelu said her mother would slap her if she ever stepped outside without shoes. Claire talked, throughout the visit, about her Kenyan safari, about Mandela’s grace, about her adoration for Harry Belafonte, and Ifemelu worried that she would lapse into Ebonics or Swahili. We also agreed that we learned a lot about modern Nigeria through the eyes of various generations and classes. The experiences of people who wanted desperately to leave the country for a better life; those who stayed and joined a new upwardly mobile class; and those who left, some to return, some to join the diaspora; are all incisively portrayed. Relaxing your hair is like being in prison. You’re caged in. Your hair rules you. You didn’t go running… today because you don’t want to sweat out this straightness. You’re always battling to make your hair do what it wasn’t meant to do. During her youth in Nigeria, Ifemelu has a passionate and significant relationship that she abandons but eventually resumes when she returns to her homeland. Half of us felt that this ending was too conventional and tidy and did not match the complexity of the rest of the novel. There was not enough depth to Ifemelu’s character and insight into her thoughts so this aspect of the novel made it less satisfying than its more journalistic quality. The other half of the group were gratified to see the couple come to their senses and commit to their intended soul-mate. I have to admit I was in the latter group and came to the meeting brimming with enthusiasm about every aspect of this book. But as often happens with this discriminating group I came to see the others’ point of view and appreciate it. I’m still enthusiastic about the book and have been recommending to anyone who asks what I’ve been reading. And despite their reservations, the rest of the group would encourage you to read it too. It’s written in an innovative style that examines serious, complicated issues while directed by a thoughtful and witty guide.